Out of all those who denounced the election results of November 5, only two candidates have taken actions. Fanmi Lavalas candidate, Dr. Maryse Narcisse and Vilaire Cluny Duroseau filed claims to contest the results before the deadline. The BCED will hear both cased today (11/10/15). The protest period for the presidential election results had a 72 hour window which stated last Thursday and ended yesterday at 5 PM. Vilaire Cluny Duroseau doesn't agree with the number of votes attributed to him based on the number of "Proce Verbal" he has on hand. 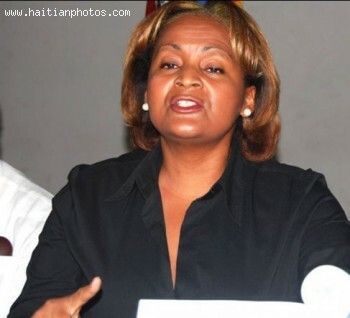 Maryse Narcisse complained about the election frauds in favor of Jovenel Moise. In the meantime, the strike announced by transport union drivers to protest recent fee increases was partially successful.